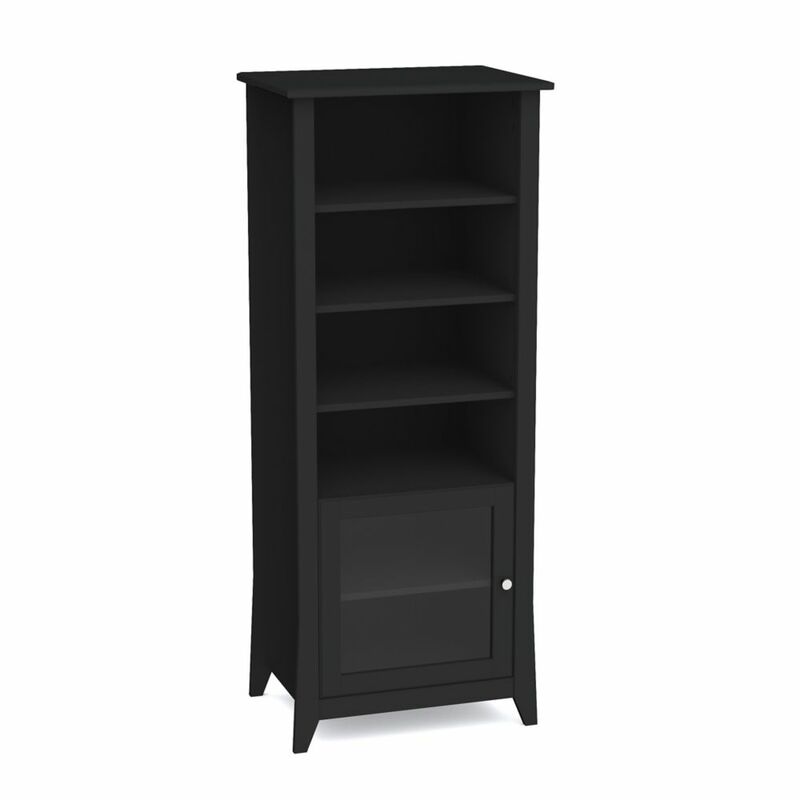 Tuxedo Curio Cabinet from Nexera features 3 adjustable shelves at the top and a 1-door section with adjustable shelf at the bottom. The door is reversible so you can decide if it will open from the right or the left side. Use Tuxedo Curio Cabinet on its own or paired with Tuxedo 58-inches TV Stand to create a complete entertainment set. Tuxedo Collection from Nexera is offered in a rich black textured lacquer and melamine with refined construction details and decorative metal handles. It proposes a complete collection for your living room, from occasional tables to TV stand and storage. The Minetta open closet is the perfect blend of Mid-Century design, elegant style, and easy functionality. Perfect in the bedroom or guest room, the closet offer open and concealed storage for favorite sweaters, jeans, and your entire t-shirt collection. Easy, effortless, yet completely sophisticated and airy, the closet is seamless and versatile and will blend well with any decor. Tuxedo Curio Cabinet Tuxedo Curio Cabinet from Nexera features 3 adjustable shelves at the top and a 1-door section with adjustable shelf at the bottom. The door is reversible so you can decide if it will open from the right or the left side. Use Tuxedo Curio Cabinet on its own or paired with Tuxedo 58-inches TV Stand to create a complete entertainment set. Tuxedo Collection from Nexera is offered in a rich black textured lacquer and melamine with refined construction details and decorative metal handles. It proposes a complete collection for your living room, from occasional tables to TV stand and storage.